Bozzola, J.J. and L.D. Russell. 1999. Electron Microscopy: Principles and Techniques for Biologists, 2nd. Ed. Jones and Bartlett Publishers (Boston) 670 pp, 810 illustrations. ISBN number 0-7637-0192-0. 1998-2011. 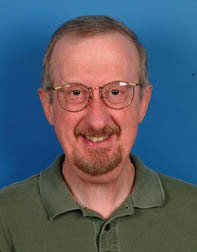 Director, Integrated Microscopy and Graphics Expertise (IMAGE) Center. SIU, Carbondale. 1984. Associate Professor, Plant Biology Department. SIU, Carbondale. 1983. Director, Center for Electron Microscopy, SIU, Carbondale. 1978-83. Assistant Professor, Department of Microbiology and Immunology, The Medical College of PA, Philadelphia. 1976-78. Instructor, Department of Microbiology, The Medical College of Pennsylvania and Hospital, Philadelphia.